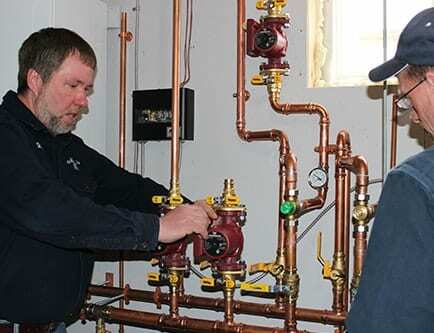 Norton’s Gas specializes in installing Propane Radiant and Hot Air Heating Systems in Edmeston and Cooperstown. 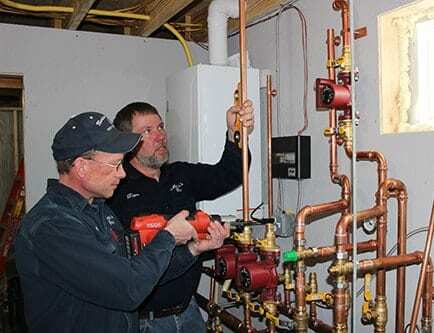 Whether we are installing a cook stove, a complete heating, or propane system in Edmeston and Cooperstown, we take pride in a job well done. We have repeatedly received compliments at the end of an installation on how clean and professional it looks. We install and service pretty much any propane appliance, furnace, boiler, heater etc. in Edmeston and Cooperstown, even if you purchased it elsewhere. I just wanted to let you know that your installation of the heating system at my sister-in-laws house is a work of art. I worked with some great installers when I was in the trade but your installation is the best I have ever seen! It is the type of work that should be featured in brochures and advertising material. Thank you for your exceptional service. We also sell Boilers, Hot Air Furnaces, Space Heaters, Hot Water Heaters “traditional” tank style and the “green” on-demand option, Fireplaces & Gas Logs. If you purchase an propane product – specify it is PROPANE not natural gas. ALWAYS call your Propane supplier when a new appliance / product is being installed even if being done by someone else. A gas check should always be done to be sure it is burning properly and there are no Propane leaks. Rely on Norton’s Gas for great service 24 hours a day, 7 days a week! It’s our mission to make sure you’re that if you do have a problem, we’re there to help see you through it.